Sasa started playing water polo at age 8 in Subotica, Serbia. He has a wealth of playing experience at both on a National and International level. He has played in the First Serbian League for several years. At the age of 16, he was the youngest player on Spartak's professional team. At the time Spartak qualified for Len Cup, an Elite Club Championship event that features Europe's strongest clubs. Sasa has 12 years of College, High School and Club coaching experience. He worked with many elete-level athletes that currently compete on the US National team and top university programs. He supervises and assists with all other club operations and age group programs. National Junior Olympics - 4 x 3rd place, 2 x 2nd place, 1 x 1st place. CIF Division 1 - 2nd place in 2016. Djoko was born and raised in Montenegro, Europe and played with V.K. Primorac since the age of 8 for 10 years. During that time his team captured numerous top three finishes including several national titles. He played for the cadet and junior national team of former Yugoslavia and later Montenegro. Djoko finished his senior year of high school at San Bernardino High School where he won athlete of the year award. In the United States Djoko also played for Chris Oeding at LBCC. The team at LBCC managed to capture 2 conference and one state championship. Both years at LBCC Djoko managed to make first team all conference, first team all So Cal, first team All-American, and in his second year was also named South Coast Confernce MVP. 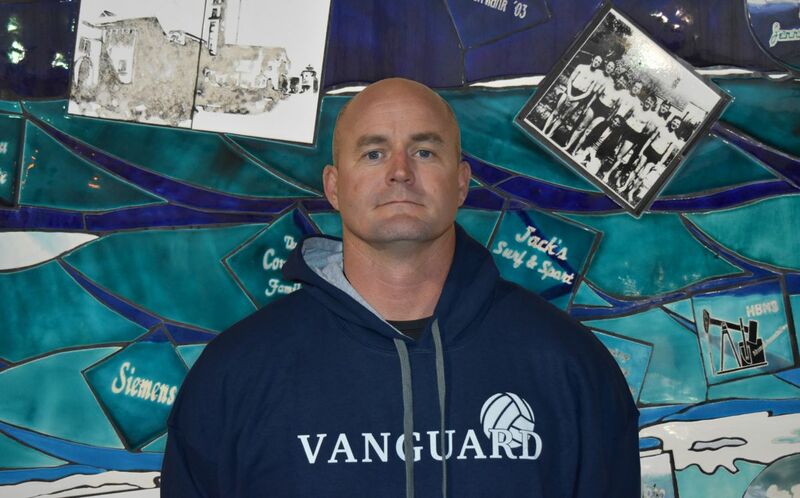 He now coaches with the HB Vanguard where he oversees the 10u team as well as Huntington Beach High School where he assists with all Boys' teams. Djoko lead 10u team to 3rd place finish at JO's in 2012 and 1st place in 2013. Recently Djoko returns to Vanguard after living in San Diego for the past 2 years and coaching at the San Diego based club Del Mar Aquatics where he was primarily responsible for the age group and 14u Boys Program. The Age group nearly doubled under Djoko's watch. We welcome him back to the Vanguard family. Brian Anderson enters his 5th year being a Head Coach with Vanguard Aquatics, currently overseeing the 12u Boys Program. Brian has coached the 12u Boys to three-peat National Championships (2016/2017/2018) as well as the 10u Co-Ed team to a National Title (2014). Brian was awarded the USA Water Polo Ted Newland Distinguished Coaching Award for his efforts in 2017. He currently also oversees the Vanguard website and media. In addition to working with Vanguard, Brian is the Head Coach for Mater Dei High School. Coach Anderson has also played an active role in the USA Water Polo Olympic Development program being a Head Coach for the SPA Zone. He has also served as the Assistant Cadet and Developmental National Team Coach and helped coordinate the USA Water Polo Holiday Camp in Colorado Springs. Brian was the Head Coach at Huntington Beach High School for the girls for four years and the boys for five. In that time Brian was selected the Sunset League Coach of the Year in 2012 & 2014 and took teams on international training trips to Hungary, Croatia, and Slovakia. Several of Brian’s athletes went on to play NCAA College water polo as well as represent USA Water Polo as members of US National Teams. Brian Anderson has been a native of the City of Huntington Beach his entire life. Brian grew up swimming with Golden West Swim Club and played water polo at Huntington Beach High School from 1998-2002. He is crrently a Teacher at Westminster High School. Currently, and since 2016, the head Womens' coach at Edison High School in Huntington Beach, Nick has been coaching youth water polo for 9 years. He began his coaching career by starting a water polo program in North Long Beach where, working with the YMCA and the Parks Department, athletes received subsidies to learn to play water polo and swim. The program has produced over 25 All-City water polo players in the past 8 years. At Edison, Nick increased the program size from 16 to 30 in two years, and has increased the teams wins from 4 to 9 to 16 in 2019. In 2019, the team earned 2nd in the Wave League and qualified for CIF for the first time since 2014. In the playoffs Edison went to the quarterfinals for the first time in school history. Prior to Edison, in the two years that Nick was head coach of the UC Irvine Women’s Club team, they ranked seventh in the Nation – the highest in team history – and Nick was named Pacific Coast Division Coach of the year, as-well-as UC Irvine Club Coach of the year in 2014. In addition to Edison, Nick is currently an assistant at Huntington Beach High School, and helped the team win the Sunset League in 2016, and to a Division I CIF runner-up performance in 2016. At Vanguard, Nick has had success at many levels and helps coach all age groups. His major responsibility is the 10&Under Coed and Splash Ball teams. At Junior Olympics the group has won 10&Under Coed Gold in 2018, 10&Under Girls Silver in 2018, and 10&Under Girls Bronze in 2017. In 2018 & 2019 the team won Dare to Dream National Championships. Coach Jovan is no stranger to the style and approach of Vanguard, as he himself played under Coach Brian, Coach Sasa, and Coach Djoko in his club and high school water polo days. Jovan comes from Huntington Beach High School where he was a All County, All CIF, and First Team Sunset League selection. Jovan was also a member of the National Team Pipeline System for three years competing with the Cadet and Youth National Teams. From Huntington Beach High School, Jovan went on to star at Princeton University where he played attacker for the Tigers. 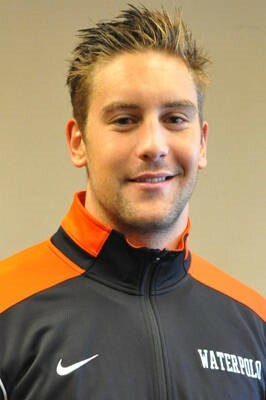 He has a prolific career where he earned All-CWPA Southern Honors, ranking himself in the Top 10 of Princeton’s record books for goals scored and assists. He also played for the National League while being a member of the college team. He majored in Neuroscience and Minored in Cognitive Science. 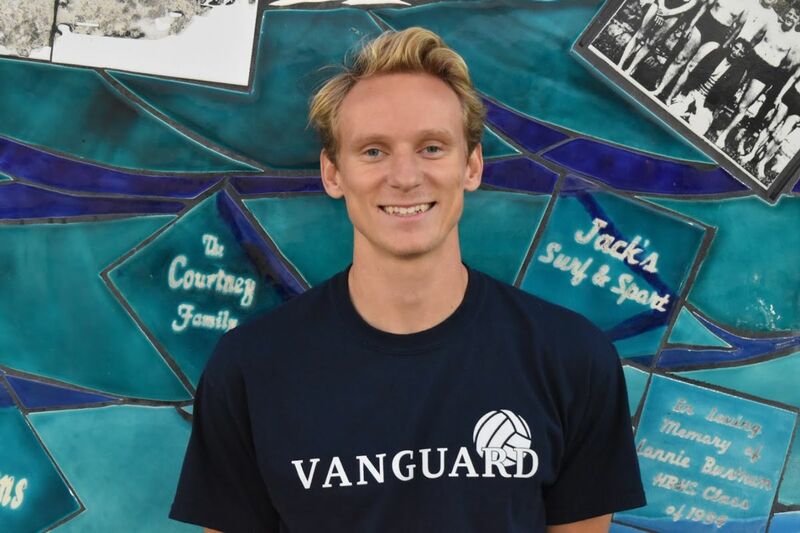 Kaps joined the Vanguard family in 2014 as an Assistant Coach for all age groups, including the 16U Boys team that placed 2nd the 2014 National Junior Olympic Championship in Stanford. He’s been a great addition to the club and is an important mentor in the development of Vanguard’s goalies across all of its teams. 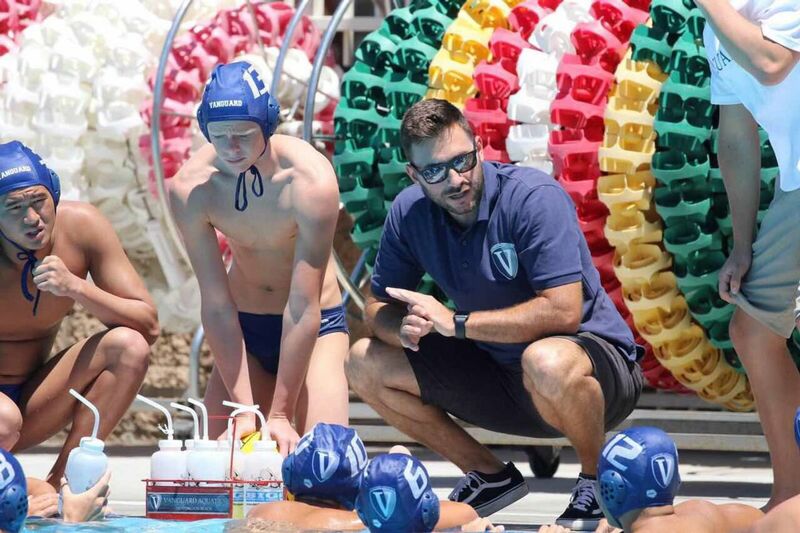 Kaps has worked for several water polo clubs and teams in Orange County, as well as serving as Head and Assistant Coach in high school programs such as La Quinta, Ocean View, Fountain Valley, and Huntington Beach. He is also one of the lead Strength Coordinators for the nationally recognized NOVA Aquatics Swim Club, and Assistant Coach to the Fountain Valley High School swim team, which won the Sunset League title in 2015. 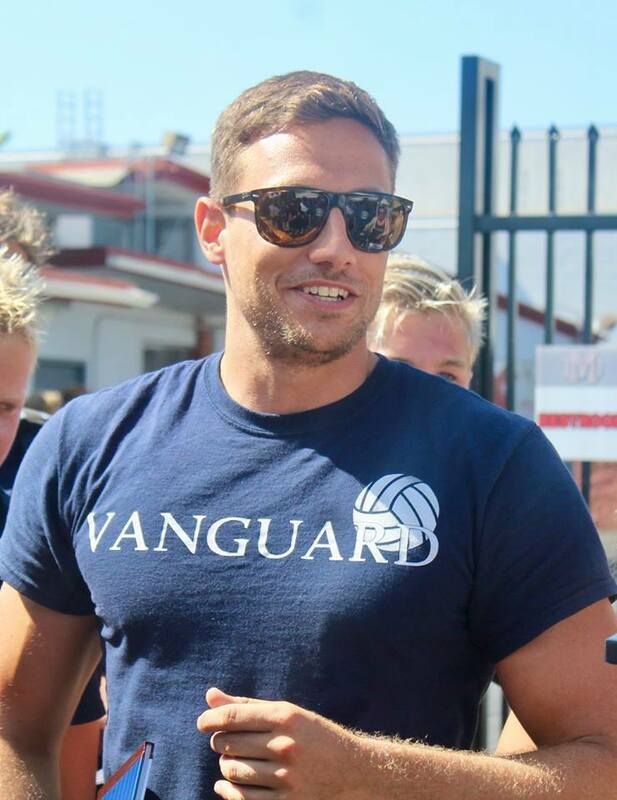 New Vanguard coach Jacob Pril is a decorated water polo athlete, who began playing at age 11. He played four seasons of varsity water polo at Fallbrook Union High School, where he was San Diego CIF's leading scorer junior and senior season. He became the all-time CIF scoring leader with 228 goals during his senior season. He played club water polo for Del Mar Water Polo Club under Brett Ormsby, and was a four year starter for Concordia University Irvine. 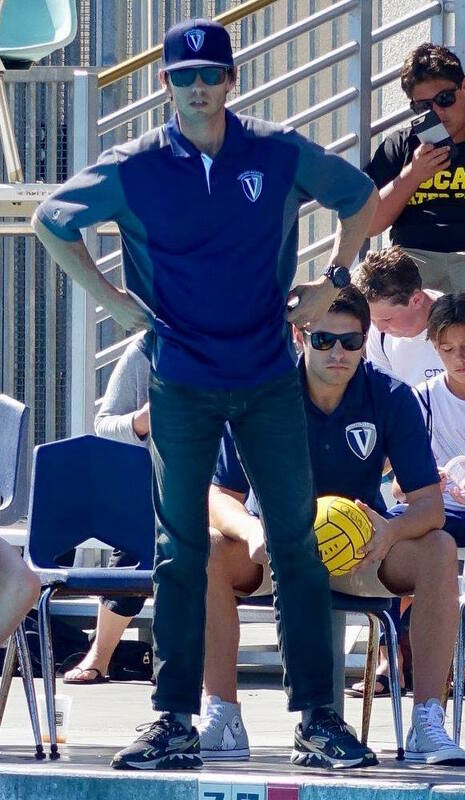 He has spent the past 5 years coaching at Northwood Water Polo Club, with his 14u Girls team finishing in 7th Place in Platinum at the 2018 Junior Olympics.